Forward-looking: Online shopping has been a thorn in the side of traditional retailers for years in large part due to sheer convenience but the one aspect it hasn’t been able to replicate is the brick-and-mortar experience. With AR, Facebook and its advertisers are looking to change that. Facebook at an event in New York City on Tuesday introduced augmented reality ads to its News Feed, allowing users to virtually try on a product or see what it would look like in their home before committing to a purchase. Now, instead of wondering what a new pair of sunglasses or a shade of lipstick would look like, you can simply tap to try it on (virtually, of course). 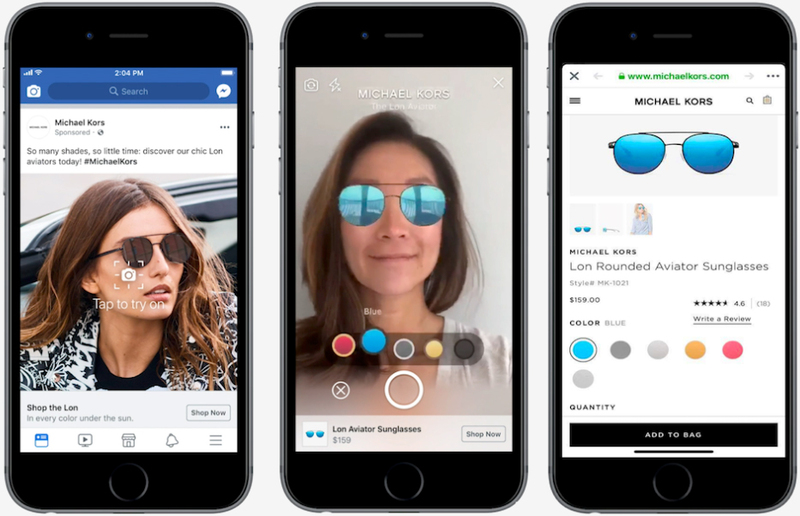 Facebook says Michael Kors was the first brand to test AR ads in the News Feeds and that later this summer, Sephora and others in fashion, cosmetics, furniture, gaming and entertainment will join the mix. The AR ads look like any other until you tap to bring them to life. Ty Ahmad-Taylor, vice president of product marketing at Facebook, said people traditionally have to go into stores to do this. “People still really love that experience, but they would like to try it at home,” so this “bridges the gap,” he added.